This particular one at Olympic National Park has some of the highest biomass per acre of any site on earth, in part thanks to up to 400 inches of rain per year. 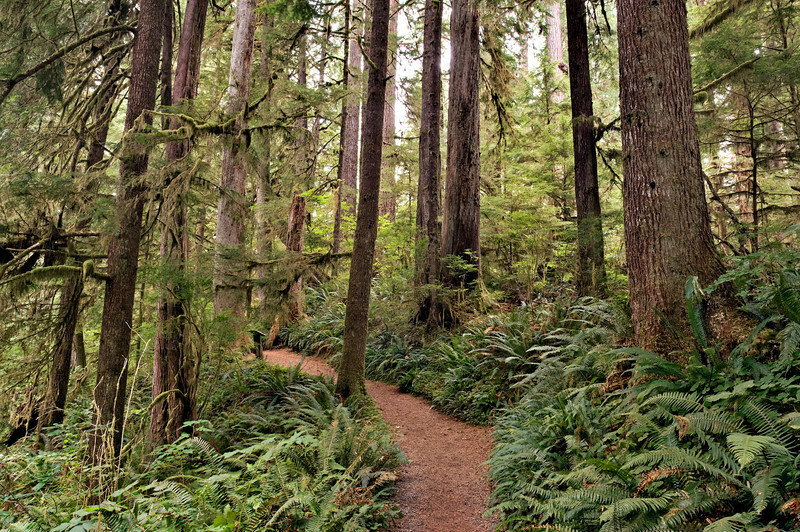 The Quinault Rain Forest Nature Trail featured here provides an easy short intro into this area also known as the Valley of Rain Forest Giants. One really nice thing about this trail is that is so accessible to all ages and abilities, yet it provides a very real taste of what ancient forest is like. And it's such a short hike we always stop when nearby.